This card combines two challenges: Karen Giron's Sweet Sunday Sketch Challenge #187 and Colour Q Challenge #194 (Poppy Parade, Calypso Coral, Gumball Green, and Tempting Turquoise). I just recently received the beautiful Stippled Blossoms stamp set, and couldn't wait to use it! 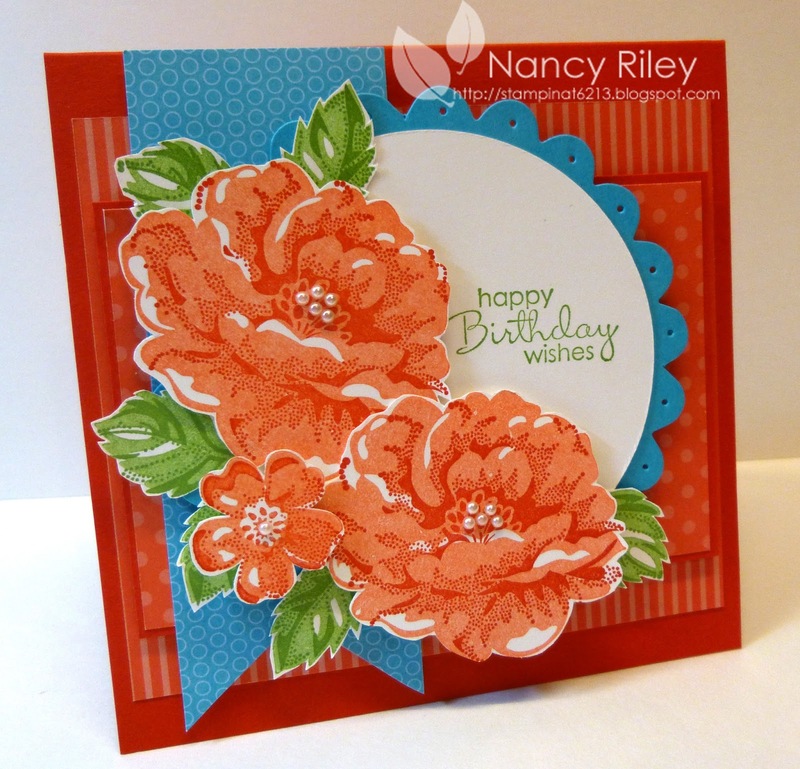 For the roses, I stamped off with Calypso Coral on the base image and stamped the overlay image in Poppy Parade. 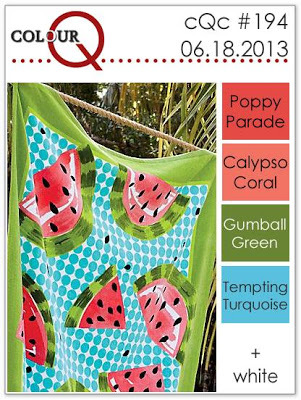 The base image for the leaves were stamped off in Gumball Green, then the overlay image stamped in Gumball Green. My craft room has seen some action since I've been on summer break! 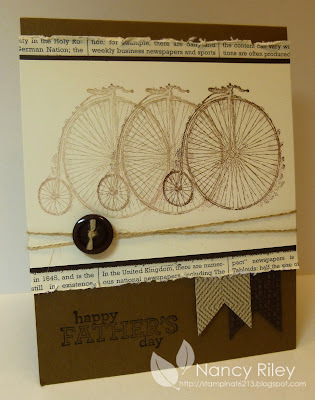 I've been making cards copied (CASEd) from other great stamping artists. 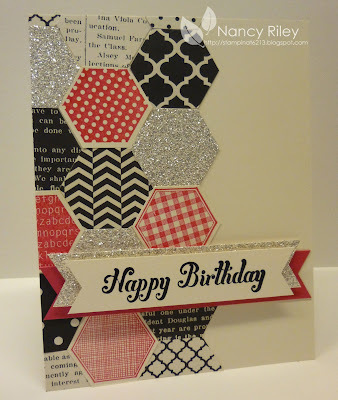 I truly appreciate a great card design, especially one that makes me want to ink up my stamps and copy it! This first card was CASEd from Mary Brown's card. 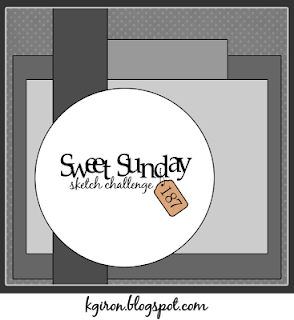 I'm a sucker for Stampin' Up! 's Daffodil Delight, and SU's Polka Dot Parade DSP really shows it off! The sentiment I used is a retired SU rub-on. 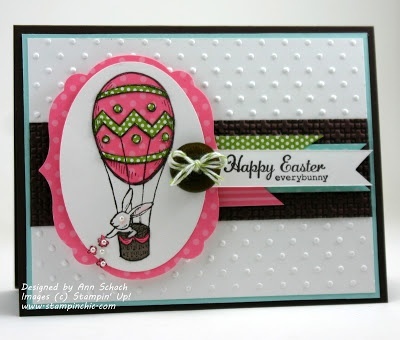 I found this next card on Pinterest, and believe it was originally found on the Stampin' Up! website. If that is incorrect, please kindly let me know so I can credit the proper source.The Patio Party DSP (retired) makes this card super easy to put together! The three cakes are cut out of the designer paper, and raised up on dimensionals. 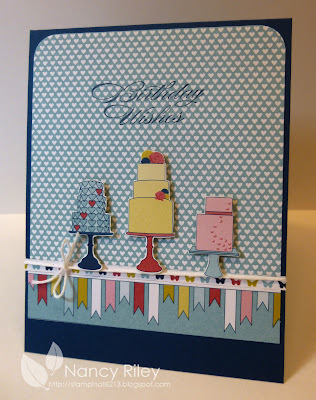 The only stamping is the "Birthday Wishes" sentiment from Bring on the Cake. This next card is a CASE of Rita Wright's card. 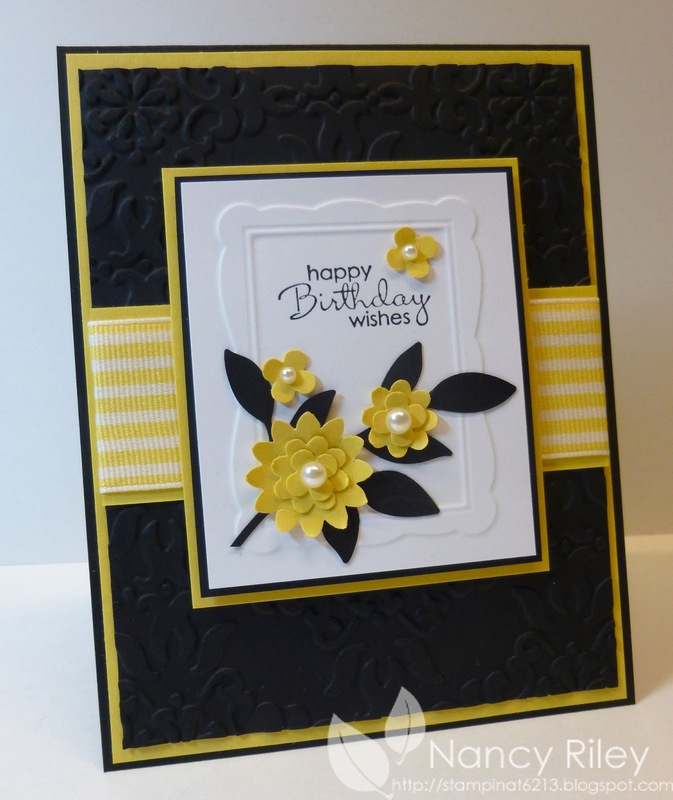 I love Daffodil Delight paired with Basic Black! Somehow, my large flower turned out larger that I'd like it to be. Ugh! I used SU retired striped grosgrain ribbon for the horizontal center strip in place of the designer paper strip. 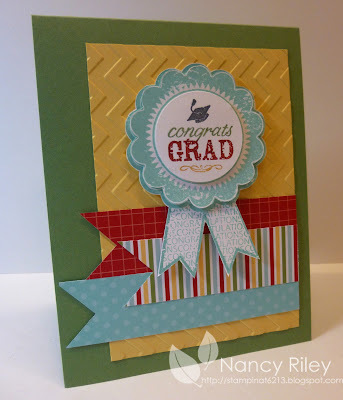 This year, I had many graduates to acknowledge, and I made many of these cards! It was inspired by two cards: Mindy's (Bada-Bing! Paper-Crafting!) card and Teneale Williams card, using the stamp set, Blue Ribbon and Storytime DSP (retired). My apologies for being away for so long. Not only did Pinterest have me stumped with their new format, but I just haven't had the time to really sit down and figure it out. Thanks to my friend, Connie Collins who bent over backwards to solve this issue for me! She is really unbelievable, and took it upon herself to help me along! Here's a "catch-up iPICKS" for now. Expect them sporadically in May, but come June, we'll be back to weekly posts. I've missed the past two weeks of iPICKS because since Pinterest changed its format, I don't understand how to copy and paste the html code into a blog post. I've tried various things, and nothing seems to work. If anyone can offer some assistance or helpful hints, I can get iPICKS back up and running again!